All the major stats and facts from the second ODI between Australia and India in Adelaide. 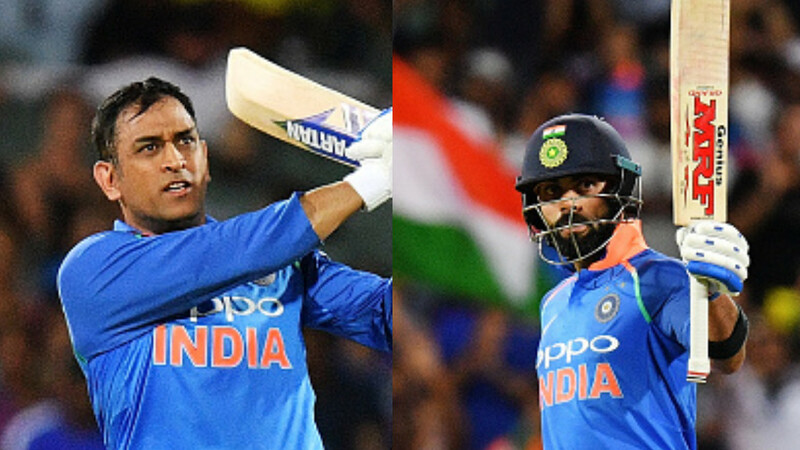 Virat Kohli (104), MS Dhoni (55*) and Bhuvneshwar Kumar (4/45) starred in India's 6-wicket win over Australia in the second ODI at Adelaide Oval, and with this win India levelled the series 1-1 and the series decider will be played in Melbourne on 18 January. 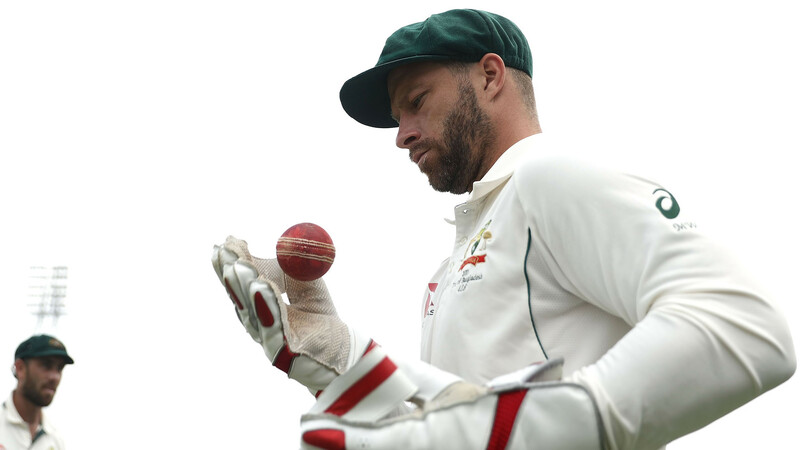 After opting to bat first, once again Australia started off poorly and lost both the openers cheaply but Shaun Marsh and middle order batsmen rebuilt the innings and Australia finished with a good total of 299/9. Shaun Marsh played an awesome knock of 131 runs and for India, Bhuvneshwar Kumar took 4 wickets. In reply, Indian openers gave a good start but they couldn't play big knocks. Captain Virat Kohli led from the front and scored 104 runs and in the end MS Dhoni and Dinesh Karthik helped team to get over the line. Virat Kohli was named Man-of-the-Match. 4 - Shaun Marsh has scored 4 hundreds in his last 8 ODI innings and overall it was 7th hundred of his ODI career. 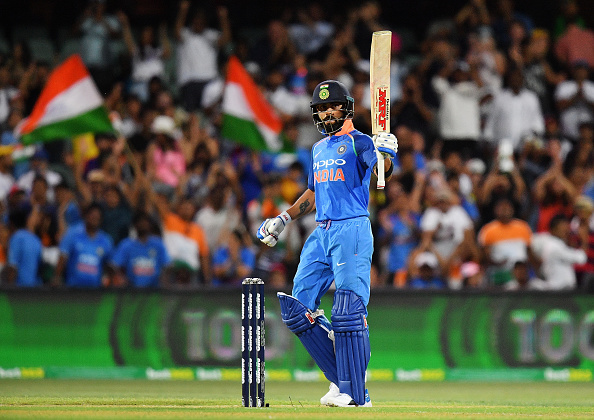 11 - This was Virat Kohli's 11th hundred in international cricket in Australia - the most by any visiting player. 22 - Virat Kohli has now scored 22 hundreds in ODIs away from home - only Sachin Tendulkar (29) is ahead of him. 50 - This was the 50th ODI match between Australia and India in Australia. 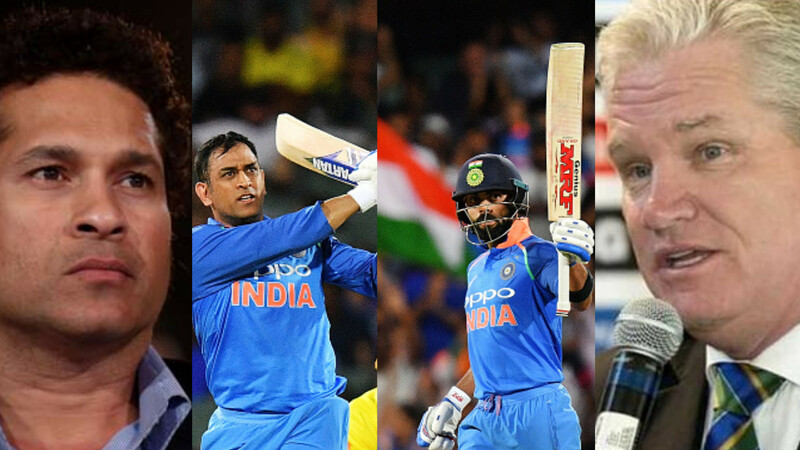 64 - With 64 international hundreds Virat Kohli went past Kumar Sangakkara's tally of 63 hundreds and are now third leading century maker in international cricket. 76 - Mohammed Siraj conceded 76 runs in his 10 overs spell - the second most runs conceded by an Indian bowler on ODI debut. 89 - Number of sixes Rohit Sharma has hit against Australia in international cricket - the most by a player against a single team. 299 - India successfully chased down a target of 299 runs - the second highest at Adelaide in ODIs and also second highest for India against Australia in Australia.